It is critical to have an understanding of market, self, and company value to obtain the starting salary you're seeking during negotiations. The measurement of your skill set and prior experience in your industry is known as "market value". Your individual value to the company wanting to hire you is known as "company value". If the company would increase productivity by hiring you, than your company value it going to be high. "Self value" is an individual measurement of how important the job offer is to you. In other words, it is a determination of whether you really want the job or not. If there are features of the job that would improve self value, such as more time off or additional benefits, you should consider making these requests during salary negotiations. Once you have a clear picture of your market, self, and company value, you will have increased leverage during salary negotiations. Never exaggerate your current or previous salaries when applying for a job. Although providing accurate information gives the company wanting to hire you the upper hand while negotiating a starting salary, you should never lie since the company could review your tax or other records to determine this information. If you are not happy with the salary being offered, and your new employer is hesitant to budge, consider requesting more benefits. This could include more vacation days, better health insurance coverage, paid days off, etc. You may considering requesting items, such as a car lease or cell phone, that (1) are being offered to other employees and (2) would reduce your personal expenses. Larger companies who cannot negotiate starting salary, often have the ability to negotiate benefits. Unless requested, never submit salary history with a resume. Companies use this information to determine whether they can afford to meet your expected salary. It also gives them the an upper hand during negotiations. According to a recent study, women usually seek better benefits, and men seek higher base salaries during salary negotiations. When trying to maximize your compensation, you should focus on both salary and benefits. If you submitted a salary request in a cover letter, but after some consideration would like to request more money, do your best at an interview to convince the potential employer your requests are justified. Do not bring up salary, but after the potential employer does, thoroughly convince the manager conducting the interview you will increase the company's productivity. Most companies do not have a problem with negotiating starting salaries. It's better not to submit a salary figure in writing, unless specifically requested to do so. Never mention a salary requirement in a resume since it can be used against you. However, if you have information about average salaries for employees working in similar positions at the company you are applying for, and it is within your desired salary, you can disclose this information. Companies frequently review salary requests to eliminate candidates. If you list a salary request, be sure to do so in your cover letter. If you are not comfortable disclosing a specific dollar amount, you can list the salary range you are seeking. If a company insists you submit a salary history when applying for a job, you must first consider whether you want the job. Companies with this information have leverage during salary negotiations. However, if you are still interested in the job, submit your salary history in a cover letter or separate page, never on the resume. If you receive a job offer and want some time to think it over, be sure to specify the timeframe you would like with the company making the offer. Companies usually prefer shorter timeframes since they want to notify other jobseekers they interviewed that the position is filled, so be sure to keep it short, usually a week or less. If you need more time, call the company and request it, but make sure it is reasonable. Asking for a month to make the decision is probably too long. If you are still unsure about the job, and need more time to consider, you might want to look for another job since you should have a good idea about it after the interview process. Keep these two key facts in mind during salary negotiations: You will have better leverage if you understand your value, and do not talk about salary at the beginning of the interview phase. It is best not to bring it up until a job offer has been made. Conduct some research prior to each interview, so you will have an understanding of your market value when asked about a desired salary. All jobseekers want to know the best strategy for landing the salary they are seeking. Although it may seem obvious, the best strategy is to educate yourself about a number of factors, including average salaries for professionals in your field with comparable experience and skills and the general salary range for the job you are applying for. If you are familiar with this information, you will be in the best position possible to make an argument for a higher salary. Having knowledge about average salaries for a particular field can also be helpful if you are required to submit a requested salary when applying. 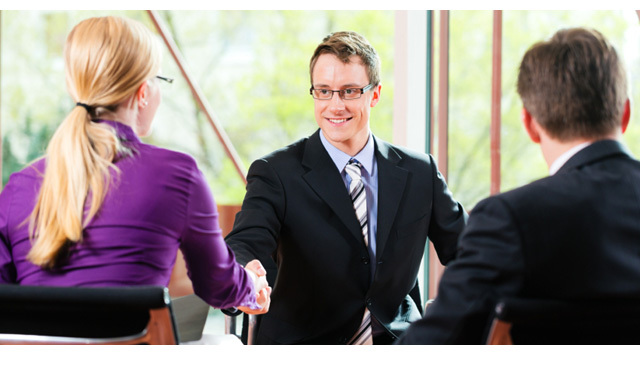 Many companies request this information to narrow the field of candidates to interview. If you are interested in the job and want to receive a fair salary, place your request within the average salary range for the particular position you are applying for. Because benefits are factored into employee compensation, if you receive a job offer and agree to a salary and benefits package, request it in writing. This will be especially beneficial if there are ever any disputes about your salary and benefits. If the company refuses, consider pursuing employment elsewhere. If a company making a job and salary offer is reluctant to provide it in writing, and you still want to work for the company, you could prepare an acceptance letter. Within the letter, be sure to list what you understand to be the specifics of the agreement. If the employer refuses to agree to the conditions, it is probably best not to work for the company.